Recent years have been marked by an accelerated development of unconventional techniques in textile manufacturing. A common characteristic of those new technologies has been a partial or complete elimination of conventional operational practices like spinning, weaving, knitting, etc. One of the characteristic mark of the new product, which can't be identified by the criteria of conventional textiles, are their specific properties and end uses. Nonwoven product is one of them. A Fibre2Fashion overview of the global nonwovens market. Nonwovens are novel, innovative, engineered fabrics produced directly from fibres and are used over an extensive variety of products and applications. There are abundant end-uses of nonwovens like in hygiene, medical, wipes, surgical fabrics, liquids and gas filtration, protective clothing, interlinings and clothing, leather like- goods and coating substrates, shoes, upholstery, floor-covers, furniture and bedding, building and roofing, structural engineering and in geosynthetics. Current life would be impossible without them. 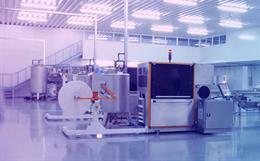 Nonwovens represent the highest growth segment in the textiles field. Over the last decade, the extent of textile fibre used as a part of nonwoven has surpassed fibre use for woven, knitted and other textile products. The growth in nonwovens is because of growing technological advancements, new product developments and rising awareness among consumers and their pace in adopting nonwoven goods. Growing hygiene and medical industries are also supporting the nonwoven market growth, particularly in the Asia-Pacific and Latin American regions. 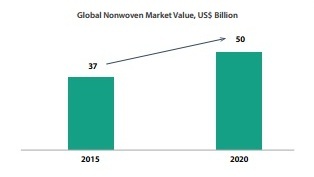 The Asia-Pacific region is expected to play a major role for the nonwovens market primarily due to emerging economies in China and India, accompanied with growing awareness among customers about the benefits of nonwoven products. 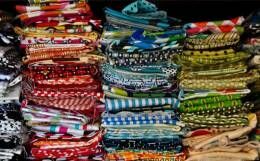 The global nonwovens fabric market was valued at $37 billion in 2015 and according to recent studies, it is anticipated to grow to around $50 billion by 2020, with the hygiene segment being a key part of the market. Worldwide use of nonwovens was more than 9 million tonnes in 2015, and this could grow to 12 million tonnes by 2020. Anticipated global growth rate is to be in the strong 6-7 per cent range. Some of the key trends that are supporting this future growth are described below. Globally, Asia is the major consumer of nonwovens in the world and it has overtaken Europe and North America in the last ten years. In 2015, this was manifest in a market share of 43 per cent for Asia, with consumption of 3.8 million tonnes. Asia will keep on growing with an estimated global market share of 47 per cent and volume of 5.6 million tonnes in 2020. 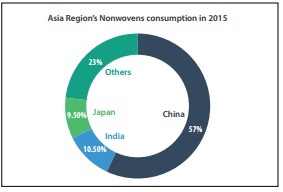 China, India and Japan are the major markets within Asia; they together represent more than three-fourth of the total nonwovens consumption. China is the lead consumer in Asia, and it alone represented around 57 per cent of this region's nonwovens consumption in 2015. India was the second biggest consumer in Asia with a 10.5 per cent share by volume of the market. Japan was a developed market, with low or even flat growth in many segments of nonwovens. Spunlaid nonwovens, which incorporate spunbond, meltblown and SMS nonwoven fabrics, were over half of the total market in 2016. They are anticipated to grow at the rate of 7.5 per cent through 2020, which is the highest among all web-forming processes. The massive use of spunlaid nonwovens is in the medical textiles fields, especially as spunlaid polypropylene nonwovens fabrics. 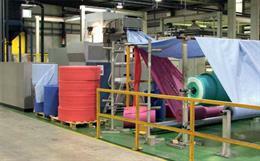 The spunlaid nonwovens consumption is expected to reach 6.3 million tonnes by 2020. This will benefit from increased penetration of markets which are now served by competing nonwovens or other classes of materials. Disposable nonwovens are growing at a slightly faster pace than durables, as in the Central Asian markets, where growing upper and middle classes demand high performance and high-value consumer goods (like medical materials, feminine hygiene products and diapers), and move away from lower cost, low-quality products. The disposables nonwoven market segment was around at $14.5 billion in 2015 and its value will exhibit a 6.5 per cent growth rate, pushing the global market to $20 billion in 2020. Hygiene materials are the biggest segment among disposable nonwovens, due for the most part to the substantial baby diaper, toddler training pants and feminine hygiene markets. Disposable wipes are another important, large and growing segment for disposable nonwovens. Nowadays, the use of nonwovens is clearly different from the earlier times when they were only substitutes for wovens and knits. At present, they remain all alone in the areas of durables and advanced application that historically have high profit margins. Durable nonwovens reached $23.5 billion in 2015, and with a projected growth of 6.3 per cent, sales are expected to reach $32 billion in 2020. A major use of durable nonwovens is in building construction. A considerable chunk of nonwovens is used in automobiles for carpeting, ceiling, dashboard, trunk lining and sound insulation. Their properties are better than whatever else is used. Moreover, nonwovens are making progress in geosynthetics and farming. They are highly engineered to give good strength-to-weight ratio, and are more affordable than their woven counterparts. Another important trend being seen across recent studies is the push towards reduction in basis weights across all nonwovens. This has benefits like reducing raw material costs, shipping and warehouse expenses, and waste disposal loads. For disposable nonwovens, the overall reduction in basis weight in 2010-2015 was around 5 per cent. For 2015-2020, this will proceed at a slower rate, with a further decrease of 3.8 per cent in basis weight. This reduction in average basis weight can be because of newer equipment within a process which can deliver lighter products. For example, new generation spunbond machines can produce 8-10gsm hygiene nonwovens, compared to the historical standard of 10-12gsm. A similar impact can be achieved as a result of substituting a totally different kind of nonwoven fabric; for example, spunlace for wipes as low as 35gsm are replacing airlaid nonwovens that have an attainable minimum of around 55gsm. 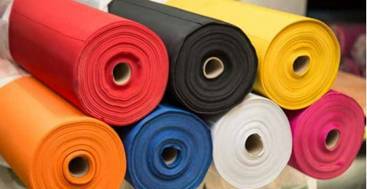 Durable nonwovens have also inclined towards lighter basis weights, which decreased by over 3.5 per cent in 2010-2015, and are anticipated to lose a further 6 per cent during 2015-2020. Some of this basis weight drop may be attributed to substitution of lightweight spunbonds, meltblowns, and SMSs for spunlace, needlepunch and other different nonwovens. 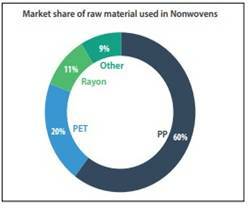 The raw materials used for production of nonwovens mostly include synthetic polymers and fibres. They represent more than 90 per cent of overall output. Currently, polypropylene (PP) is the major raw material used for global nonwovens. 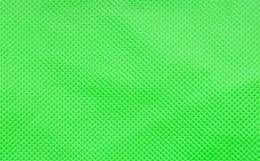 PP, used as raw material in nonwovens manufacturing, is extremely versatile. It can be softened sufficiently to bond with other fibres, reducing the need for chemical binding. Use of PP was more than 60 per cent for nonwovens in 2015. The spunbonded PP nonwoven fabrics market size occupied close to half of the total demand in 2015. Considering superior characteristics, overall performance and competitive cost compared to other synthetic fibers, PP fibres dominate the nonwoven market. 1. The world is becoming wealthier As indicated by the World Wealth Report, which tracks high net worth individuals (HNWIs), HNWI growth was a modest 4 per cent in 2015. The AsiaPacific region surpassed the United States in 2015, as the number one wealth market, with doubledigit growth in Japan and China. A great part of the nonwoven market is composed of disposable nonwoven products. At the point when individuals have more income, they generally spend that on "luxury" items, that includes nonwoven products. 2. The global population is increasing In 2015, as indicated by the World Bank, the global population was estimated to be 7.347 billion. In 2005, this was estimated to be 6.514 billion. That was the expansion of 0.833 billion people in just 10 years. With this increase, it is logical to expect that the demand for nonwoven products like medical supplies, hygiene products, automobiles and infrastructure products like geotextiles will keep on rising. Currently, 26 per cent of the population is under 14 years of age, which means that the demand for nonwoven diaper products is expected to remain high. 3. The population is also aging As per World Bank, while most of the population (65.6 per cent) is between 15 and 64 years of age, 8.4 per cent population was more than 65 years old in 2015. This has an impact on adult incontinence products in addition to the demand for medical nonwoven products. Moreover, life expectancy is growing as well. As indicated by the US Social Security Administration, around one in four Americans who are 65 years old today will live past the age of 90 and one in every 10 Americans will live to be older than 95 years. 4. Several large countries are building infrastructure India and China are growing at an accelerated rate with a large quantity of nonwoven product requirements in civil engineering applications, building constructions and geotextiles applications. 5. Furniture applications in PP nonwovens may witness significant growth PP nonwovens are used for manufacturing furniture & bedding construction, sheeting, arms and back, dust covers, insulators, blankets, spring wraps, acoustical wall coverings and table decoration. These applications are expected to see significant growth in the future. 6. Increasing number of surgical procedures This has been acting as one of the major factors driving nonwovens demand in the medical industry. The medical nonwoven products will remain the component of choice in future for giving required protection because of their ability to create barriers either by the structure or from an additional active coating for personal protective apparel. There is a tremendous scope for growth in the nonwovens segment of the textiles industry. Over the last few years, nonwovens have been one of the fastest growing segments of the industry. Asia is the biggest consumer of nonwovens and it will keep on growing with a healthy growth rate in coming years. China and India are the major markets within Asia and they together represent more than two-third of the total nonwovens consumption in Asia. It's an excellent time to be involved in nonwoven product manufacturing. Like never before, innovation and investment are critical as the market continues to expand. The future is brilliant for nonwovens.